Small Group Training A workout tailored to your ability level in classes capped at 6. Small Group Training Functional Strength and Conditioning for Every-body. Our mission is to help you feel better and perform better in all the things you do. Small Group Training sessions are full body workouts that scale to many different fitness levels. That means our trainers create variations on every exercise. You can choose the progression that works for your body and your fitness level. That's right – no two sessions are alike. Our trainers take you through a carefully coordinated progression of exercises so that each week builds on the last. A certified personal trainer pays close attention to all participants. We are present to keep you safe and to modify the workout to fit your needs – in real time! We cap the sessions at 6 people. Keeping workout groups small enables us to provide all participants guidance and encouragement throughout the session. Proper, intentional movement is far more important to us than flashy exercises or heavy weights. 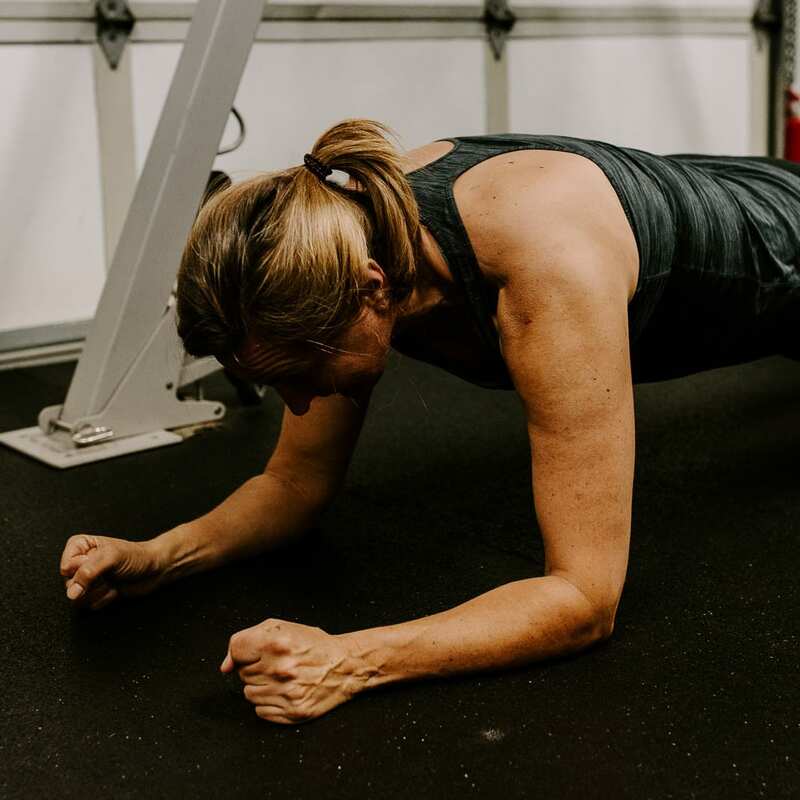 We focus on helping you connect to how your body feels at every stage of the workout, because that’s the key to smart, safe fitness gains. The best part of our small group training program is the community. Work out with some of the kindest, coolest humans in Portland. You will be welcomed with open arms. This is the only gym I have felt included in and comfortable going to. It’s never about selling me something I don’t need. The people and atmosphere are one of the biggest reasons I have continued to work out. It’s so nice being with like-minded folks who are all about staying fit – or getting there– in a fun environment. I love being watched for my form, but it’s not overt– and the corrections are gentle and supportive. It’s so nice to work out with a trainer who is so passionate and caring. Find out for yourself. Schedule your complimentary small group training session today. At Sweet Mo, we train movement. We believe that the work you do in class should translate into your life outside of the gym. Instead of training to lift a certain amount of weight, or to go a specific speed, we train to move better; with more awareness and less pain. We perform exercises that mimic the way we actually move. Every session we warm up with balance, mobility, and activation drills meant prepare your body for the more challenging work ahead. Next, we’ll do some strength/skill work. 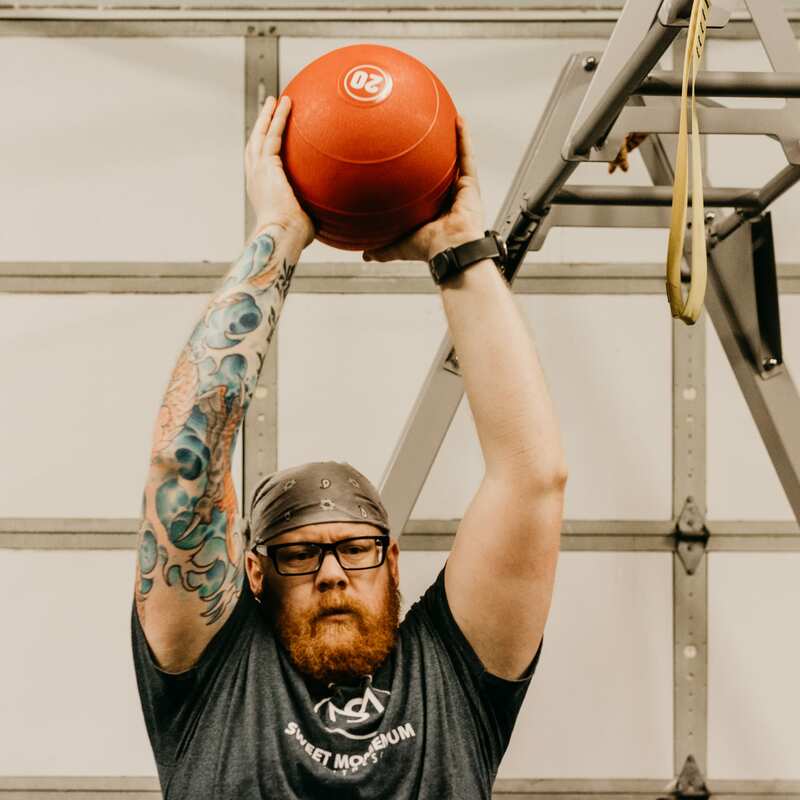 During this time, we focus on building strength in one specific movement pattern or exercise. Then, we usually perform a circuit (either individually or as a group) that combines, strength building exercises with cardio. Finally, we end each class with a cool-down so you leave ready to take on the rest of your day! During every class, we’ll move in all planes of motion and emphasize core strength and awareness. The outcome? Stronger core. Improved balance. More energy to participate in the activities you love. Better relationship with your body. We use versatile tools that facilitate many different exercises. That means no elliptical or big machines meant to isolate one muscle or muscle group. 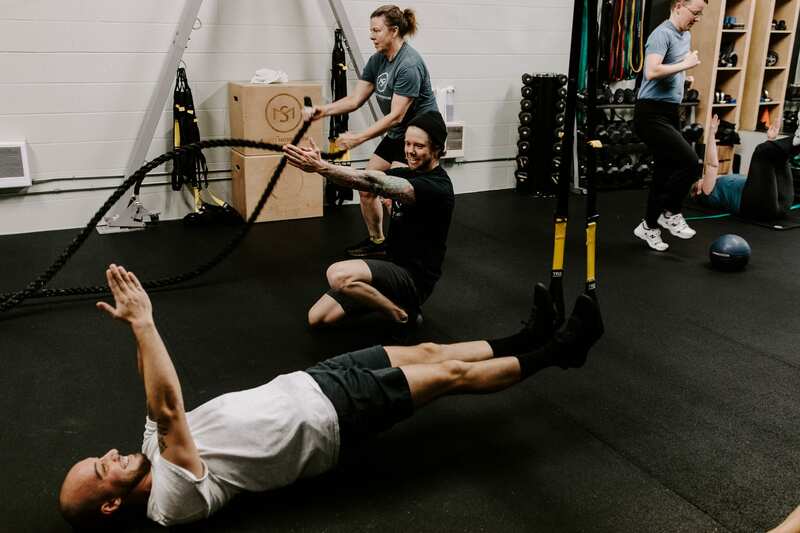 We believe training tools should help you connect with your body and permit you to move in all planes of motion. Small Group Training Options: Make a 3-month initial commitment and then switch to monthly auto-pay after that. 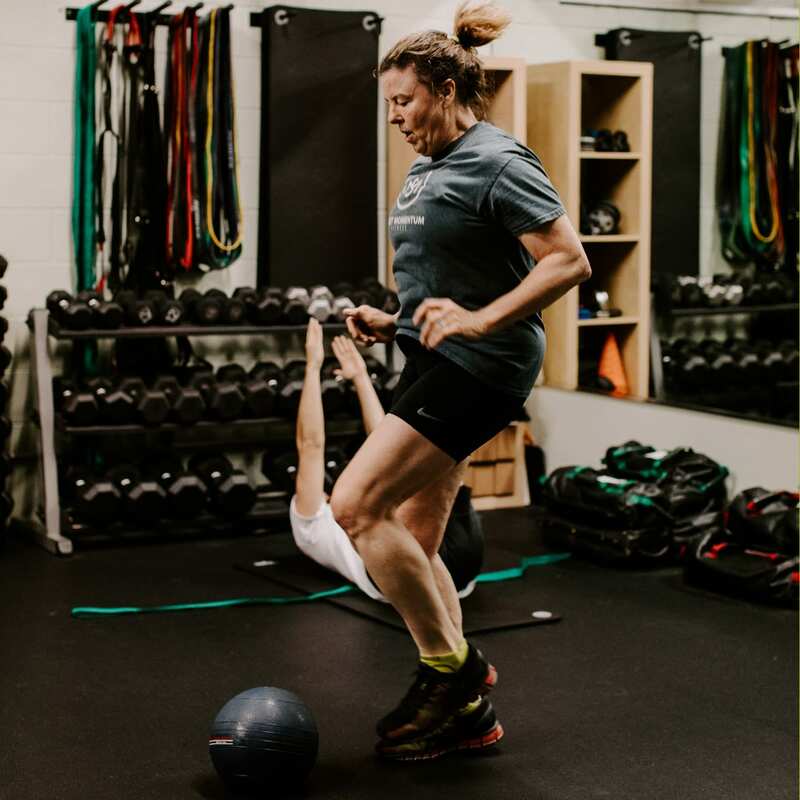 The folks who train with us come from many different socioeconomic backgrounds. That’s why our small group training program is 100% sliding scale. We believe in inclusion at all levels. Go ahead and schedule one session or a whole month's worth of workouts right from this site! Or download the Sweet Mo app. Everything you need at your fingertips. Schedule workouts on the go. Fetch our Zen Planner scheduling app.